The material on this website is available as html pages to provide speed, searchability and accessibility to users of the site. Larger reports that were designed for printing have been provided as PDF files to protect the integrity of the document's formatting and security. Forms are available either online or as downloadable Microsoft Word and PDF documents. This website is designed to help you find an online service or information quickly, and present you with links to other relevant information. We take no responsibility for the accuracy or appropriateness of information on other sites that the AFP links to. Commonwealth departments and agencies are required by the Disability Discrimination Act 1992 to ensure that online information and services are accessible by people with disabilities. If there is information you require that you cannot access, please advise the ACT Policing's Online PublishingTeam. Some documents on this site are provided in Adobe PDF format. You may need to install the Adobe Reader software, available free from the Adobe website. Wherever possible, we have improved accessibility to these documents by using tagged PDF files, which are designed to assist screen readers. The Adobe website has more information on accessibility and PDF documents. If you are unable to use the Adobe PDF reader, Adobe provides a tool to convert PDF files to html or text. Adobe online conversion tool. Other material on this website may be in document (DOC, RTF) or spreadsheet (CSV) formats. These can be viewed in most commercial or open source office productivity software, such as Microsoft Office or Open Office. 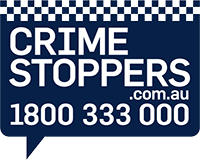 If you wish to provide feedback or report any persistent problems with this website, please contact ACT Policing's Online Publishing Team.